Late August already: the new school year is just around the corner for some, while others have already returned to class. The last few months seem to have moved unusually quickly. Still, there’s more summer to enjoy. With overcast providing nice, even light last Friday afternoon, I grabbed the camera and headed in to Portsmouth to photograph one of my favorite spots there: the formal garden at Prescott Park. 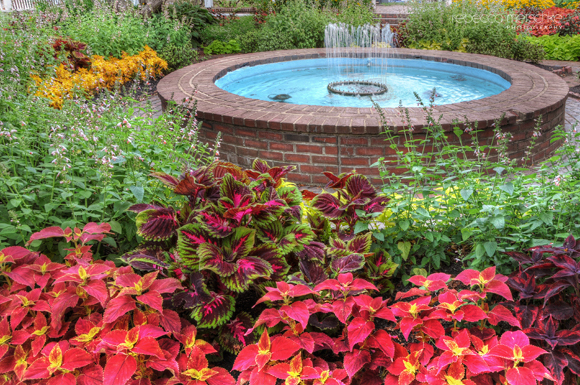 The plants are at the height of their summer display, with wonderful varieties of coleus providing punches of vibrant color.